In collaboration with the Town of Concord, we invite you to donate to our Holiday Gift Program for low-income Concord families. 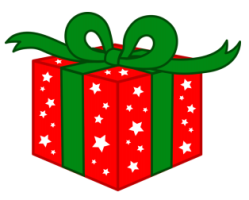 Donations of new and unwrapped gifts for children of all ages are greatly appreciated. *Lego, games, sports apparel, and gifts for young teens are especially welcome. Questions? Contact the Chest office at 978-369-5250 or Bonny Wilbur, Community Services Coordinator, at 978-318-3034 or bwilbur@concordma.gov.